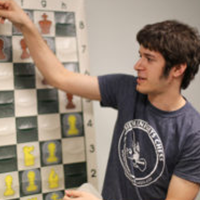 Train with the best masters from all over Chicago! 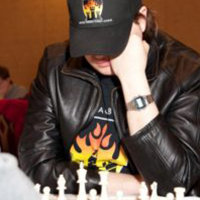 The book features 169 annotated games from 20 different chess professionals including US Champion GM Yury Shulman! Daniel Parmet takes you on a wild ride through four years of the professional team’s history. The stories are complete with photos! All profits are donated in memory of Sevan Muradian to the Muradian family. 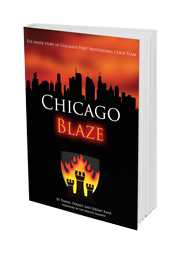 Dennis Monokroussos has reviewed the Chicago Blaze book over at his website. Check it out! The book was successfully released at the 2nd Sevan Muradian Memorial held over Thanksgiving Weekend.